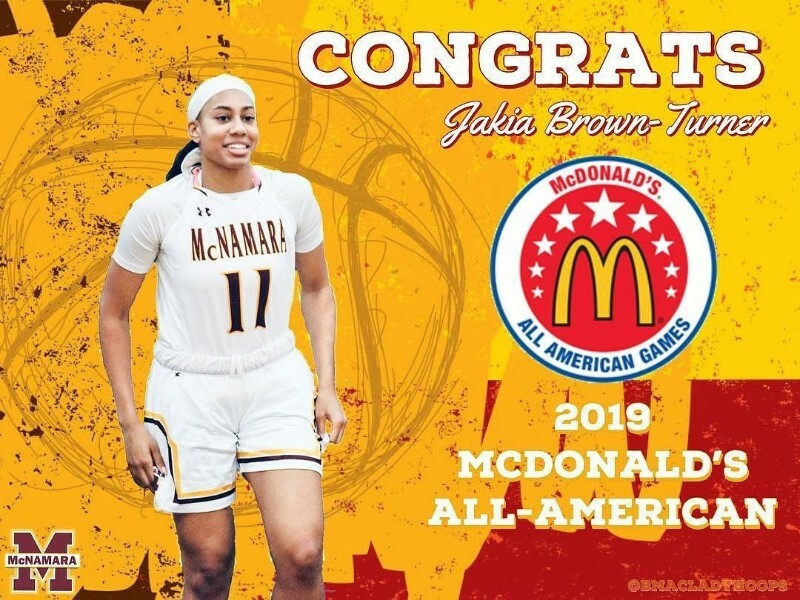 A huge congratulations to our very own Jakia Brown-Turner '19 for being selected to the 2019 McDonalds All-American Games!!! She is also the first female at Bishop McNamara High School to hold this honor! We are so proud of you, Jakia!! Twenty-four top rated senior girl basketball players in the country will converge in Atlanta to partake in the 18th McDonald's All-American Game. The McDonald's All American Girls Game is scheduled to tip Wednesday, March 27 at 5 p.m. ET from Phillips Arena in Atlanta. Our congratulations again to Jakia Brown-Turner '19 for being selected to the McDonald's All-American Games.